FAST & FREE Expedited Shipping On The Tanner Tee Pro!!! The New Tanner Tee Pro always ships free and fast from Bases Loaded. Tanner Tees took the best batting tee on the market and made it more durable, more portable and sturdier. 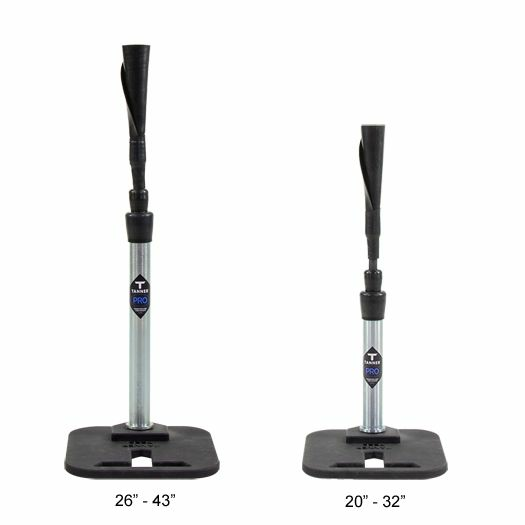 Introducing the all new Tanner Tee Pro, this baseball and softball batting tee is the highest rated hitting tee on the market. 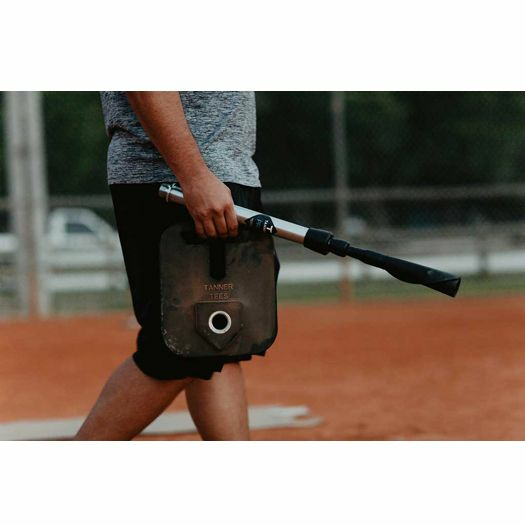 Seen in dugouts across America, the Tanner Tee Pro is used at all levels of baseball and softball including, Little League, Travel Ball, High School, College and at the Professional Level. 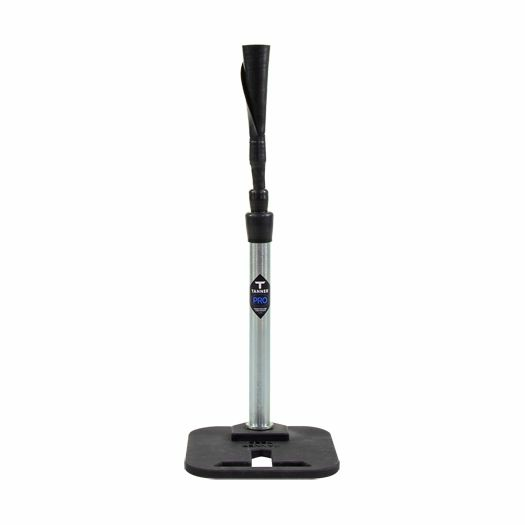 This Tanner Tee batting tee is the standard adult size of 26”-43” and is fully adjustable. This is the tee you want your teams and children to be training with as it is fully adjustable for low pitches, high pitches, and pitches right down the middle. 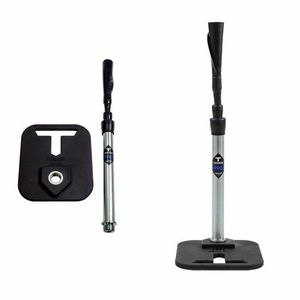 The Tanner Tee Pro has a new square base that does many things to show that this is the best baseball batting tee on the market. The Square base is thin which makes it easy to fit or slide in any bag or backpack, it has a cutout slit which makes it easy to carry and transport by hand and it is weighted to reduce the tee moving or falling over. 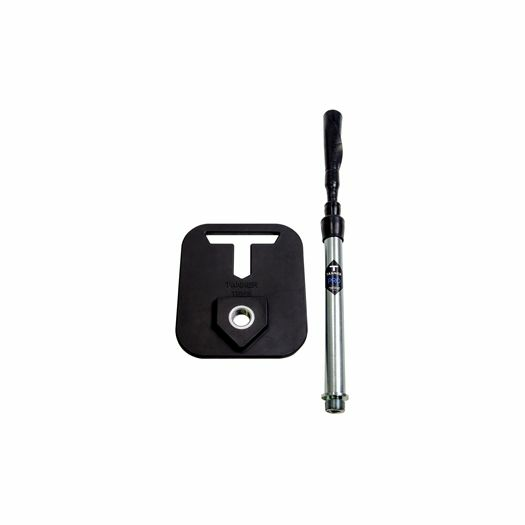 The top of the tee is the most important feature of the Tanner Tee Pro. The Hand-Rolled Flex top is so durable that most people use Tanner Tees for 5 years or longer! When hitting you do not feel the tee on contact, you feel direct contact with the ball. With all this said, The Tanner Tee Pro is the tee you need to step your game up. -	Fast and Free Shipping!